1Blend the red ingredients. Transfer to a glass, set in fridge, and rinse out blender. 2Blend white ingredients. Transfer to a glass, set in fridge, and rinse out blender. 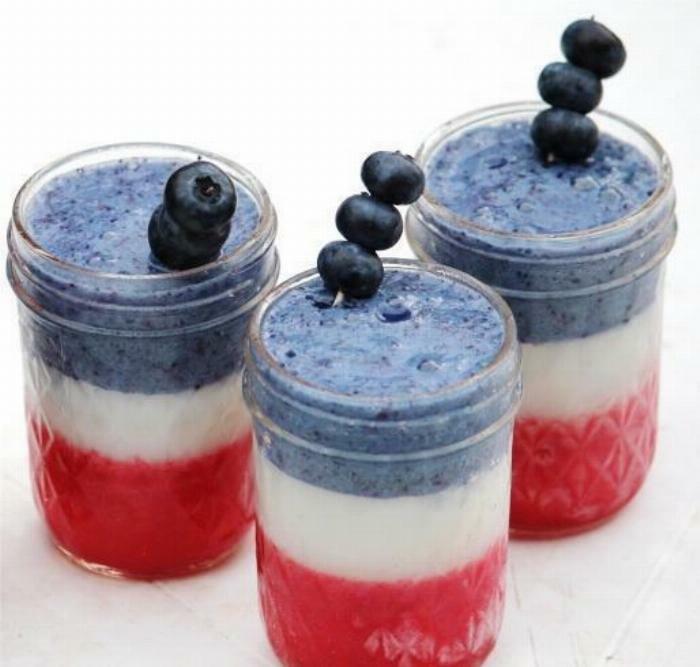 4Pour blue smoothie evenly into 3 small serving glasses. Gently and slowly pour or spoon in white smoothie, then red smoothie.